For this medical doctor from the University of the Philippines (UP), the Liberal International (LI) is nothing but a “farce” after it awarded Senator Leila De Lima with the Liberal International Prize for Freedom Award last July 28, 2018..
Dr. Francisco Tolentino opines that LI is disrespecting the country by awarding an “indicted felon” such as De Lima who has been accused and prisoned for allowing the proliferation of illegal drugs in the Bilibid Prison, an offense that was highly controversial in an administration that has fortified its takedown on illegal drugs. Tolentino quoted LI Deputy President Hakima El Haité saying, “we are here not only to give this award to Senator De Lima but to tell the Filipino people we are here to support you in the name of human rights” during the awarding of the Yellow senator. 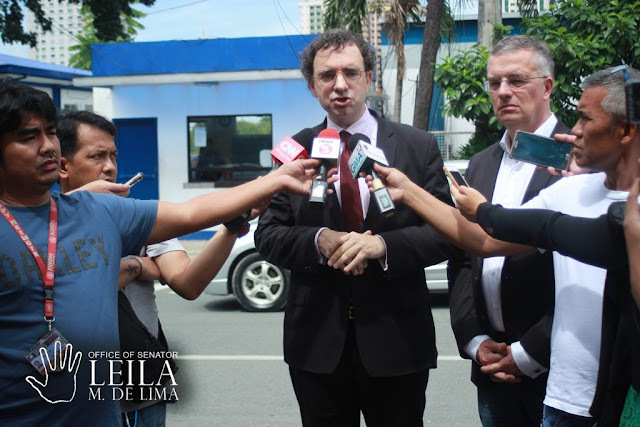 The political federation regarded De Lima as a “prisoner of conscience” to President Rodrigo Duterte’s war on illegal drugs. 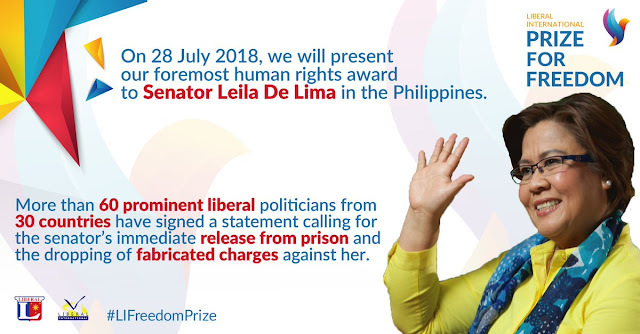 “WELL, IF De LIEma IS THE TYPE LIBERAL INTERNATIONAL AWARDS WITH PRIZE FOR FREEZOM, WE CAN ONLY SAY ONE THING ABOUT THIS GROUP, IT’S A JOKE!” Tolentino wrote in his Facebook post. 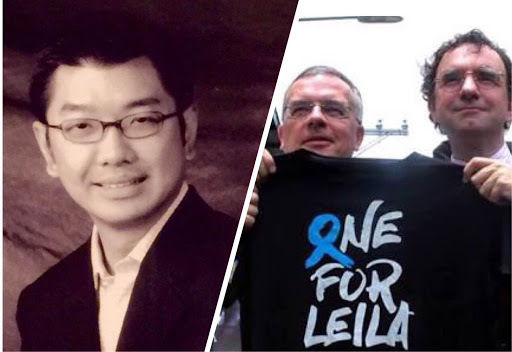 The UP doctor finds it ironic how LI could even be giving out awards in the name of human rights when they themselves are accused of disrespecting the “democracy and independent judicial institutions” such as by awarding the likes of De Lima. On the contrary, Tolentino argues that LI should adopt a better definition of what human rights really are. The UP doctor believes that what the Yellow political federation did was simply mock the Filipino people. Shoves “HUMAN RIGHTS IMPERIALISM” down our throats! De LIEma was bestowed the Liberal International Prize for Freedom Award last night. WELL, IF De LIEma IS THE TYPE LIBERAL INTERNATIONAL AWARDS WITH PRIZE FOR FREEZOM, WE CAN ONLY SAY ONE THING ABOUT THIS GROUP, IT’S A JOKE! LIBERAL INTERNATIONAL IS A FARCE! AND FOR ITS DEPUTY PRESIDENT TO CLAIM THAT THE LI SUPPORTS THE FILIPINO PEOPLE IN THE NAME OF HUMAN RIGHTS? PLEASE DO NOT INSULT US WITH THOSE WORDS. YOU DISRESPECTED OUR DEMOCRACY & INDEPENDENT JUDICIAL INSTITUTIONS BY HONORING AN INDICTED FELON LIKE De LIEma. The problem seems to be the narrow, egocentric definition of what human rights are. 1. Kenzer, S. “End Human Rights Imperialism Now.” The Guardian, 31 December 2010.